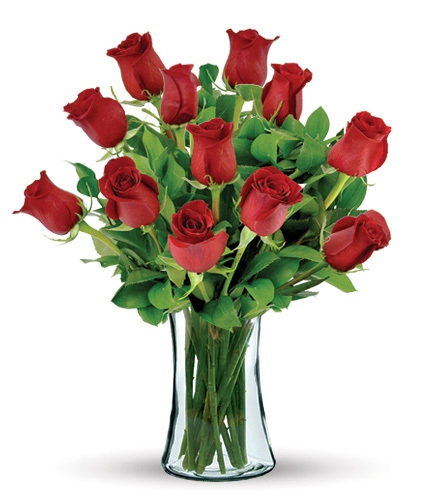 Make a striking impression with a beautiful flower bouquet of a half-dozen rich red roses straight from the flower shop. 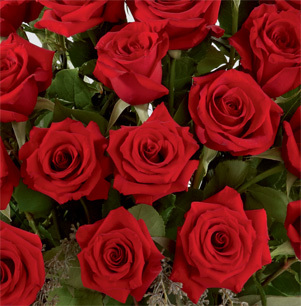 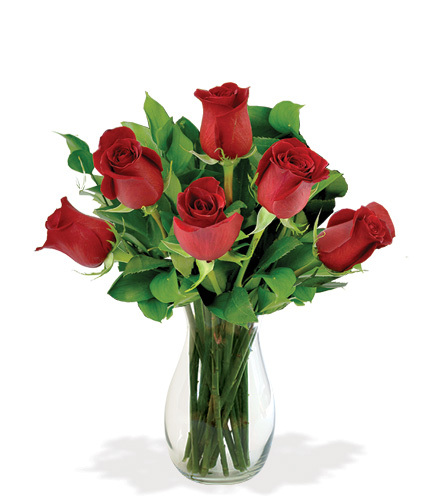 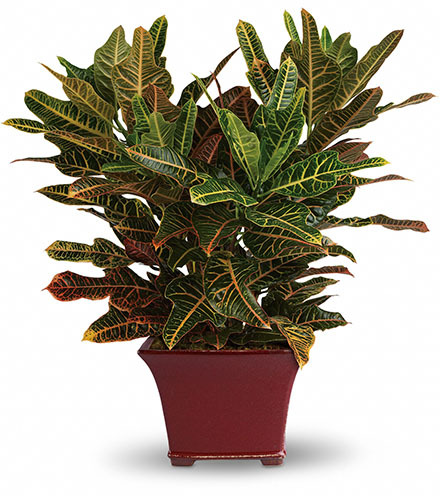 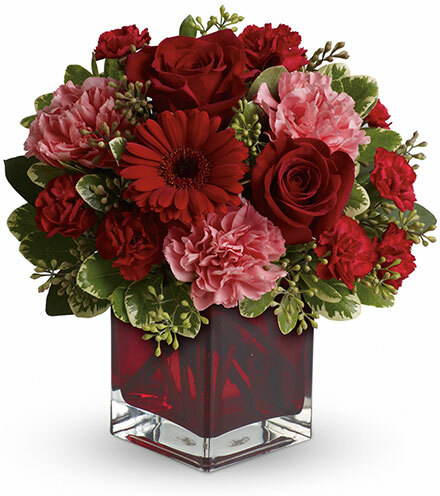 Premium red roses are arranged in a tear-shaped vase. 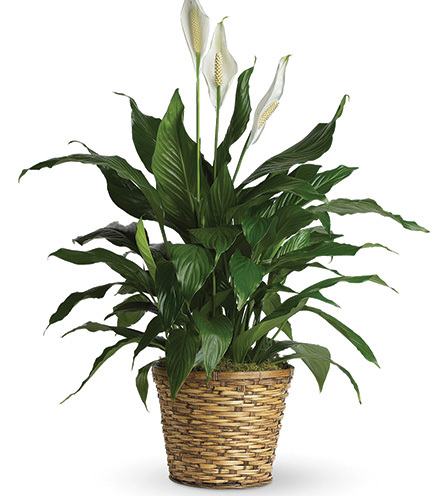 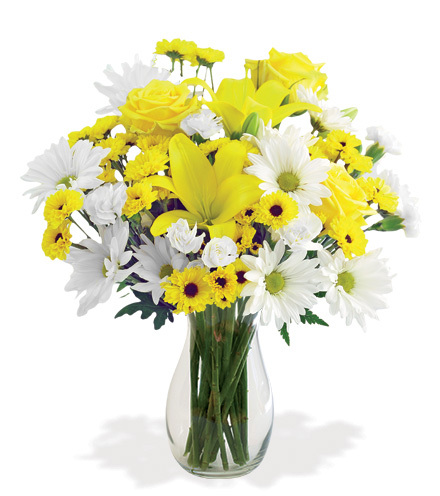 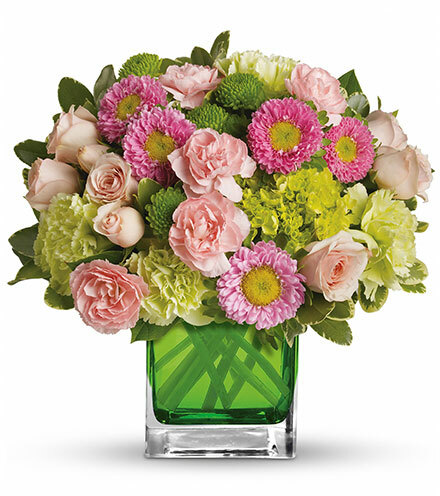 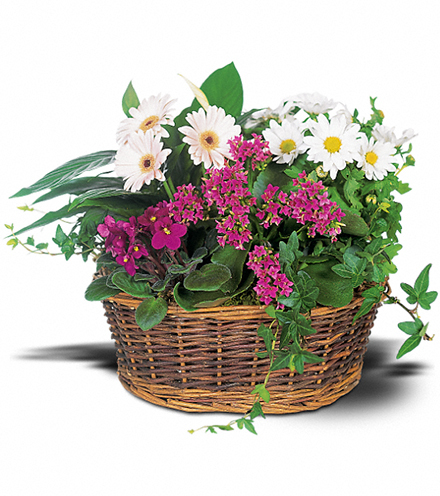 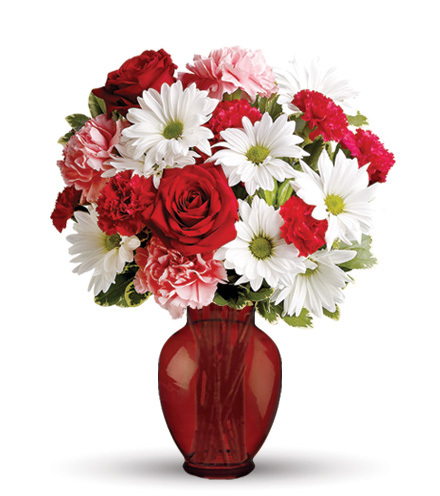 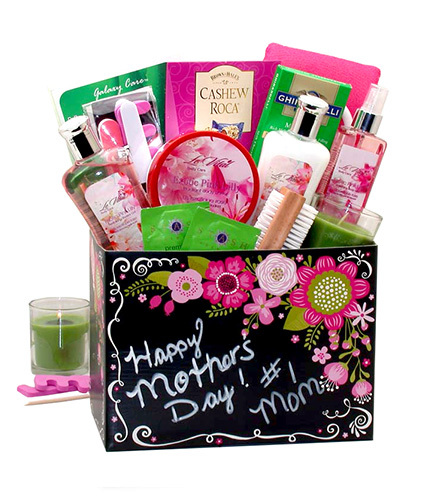 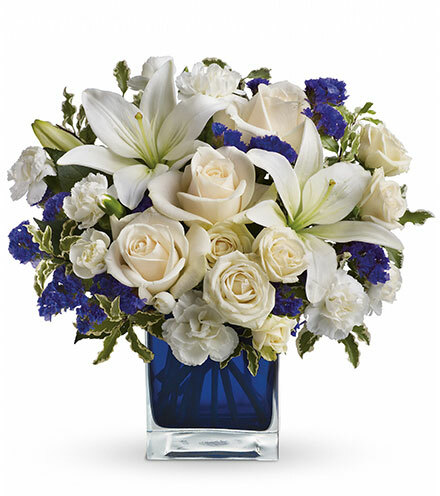 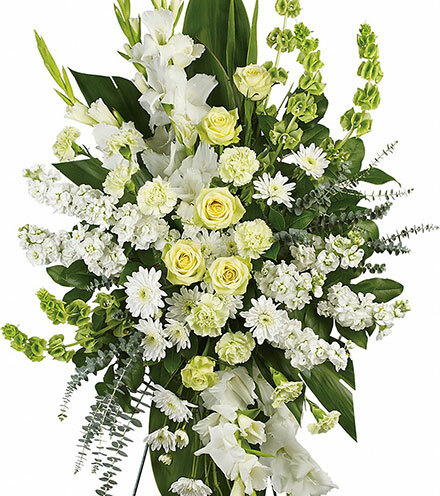 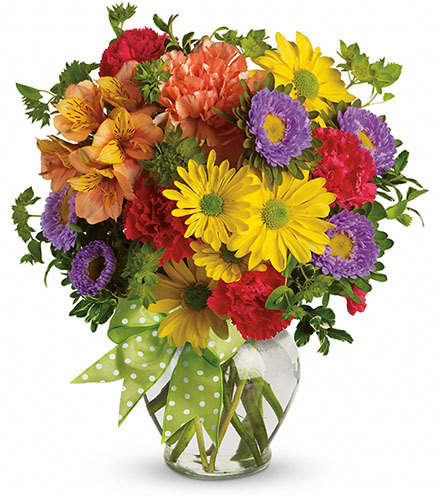 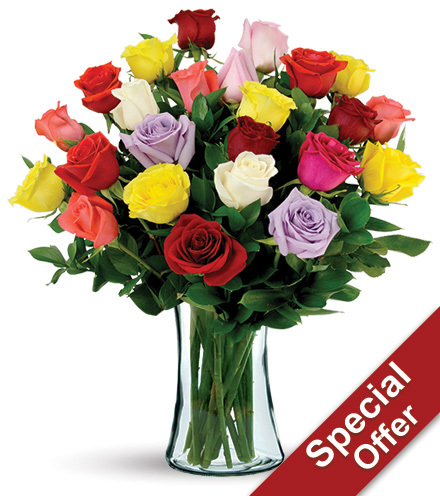 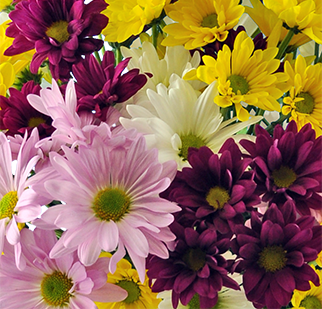 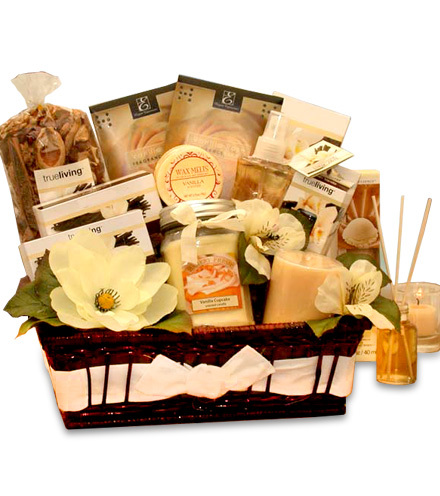 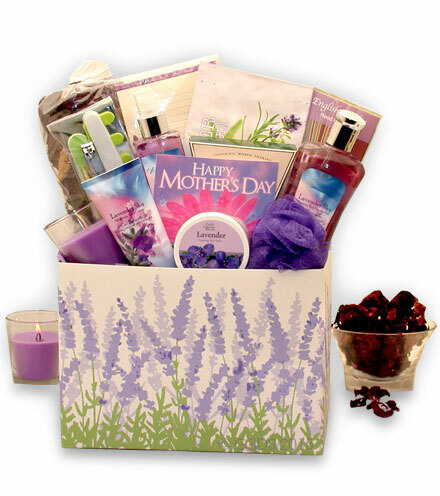 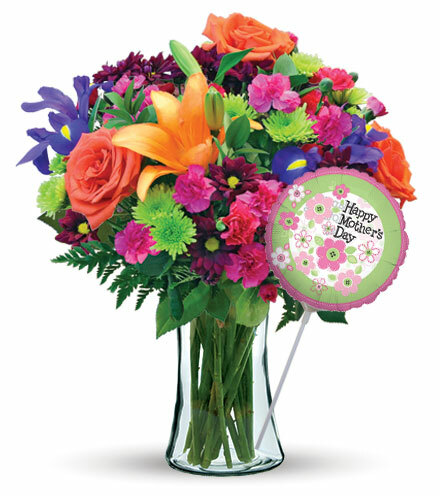 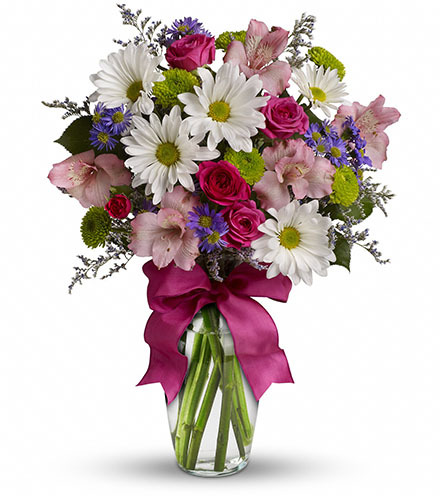 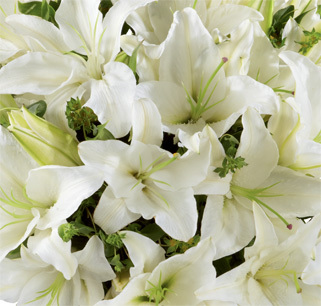 send your own message of love and romance with a flower order online today, tomorrow, or for any future occasion.